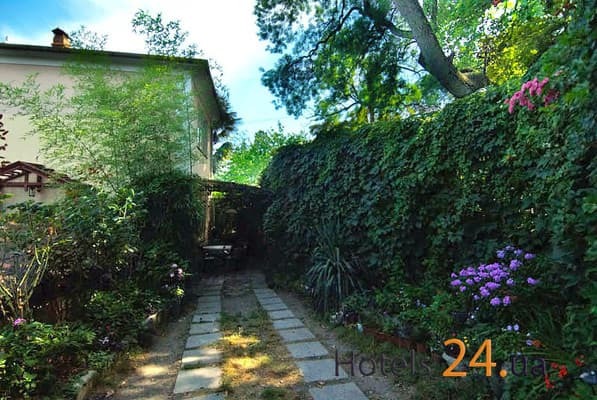 The apartments are located in Livadia (4 km from Yalta) in the private sector, in the park area of ​​the Livadia Palace. A fenced large yard where you can cook shish kebab. Also in the house there is an open attic, equipped with sofas, a table and chairs. 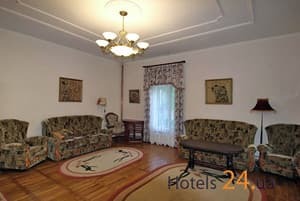 Spacious light rooms, equipped kitchen (gas cooker, hood, kettle, microwave, refrigerator, TV, dishes). The house has air conditioning. In the bathroom there is a bath, a washing machine. Parking in the yard of the house. You can reach the sea by car or via the park by elevator (8-10 minutes). To the embankment of Yalta go for 5 minutes. Near the house there are restaurants, cafes, shops. The apartment can accommodate 6-7 people. Distance to the bus station in Yalta - 9.6 km; before Simferopol - 88.2 km. PRICES MAY CHANGE, IT IS REQUIRED TO RECEIVE INFORMATION FROM THE OPERATOR. 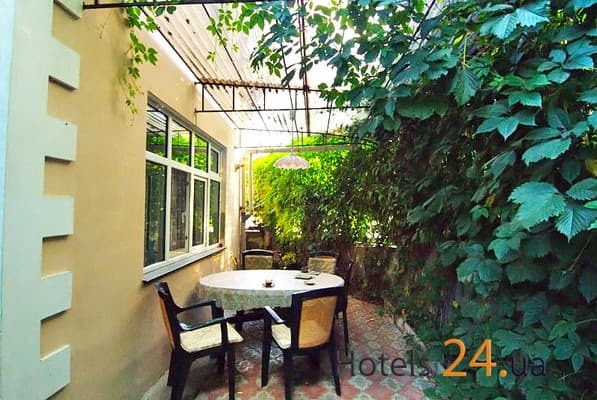 Description of the room: Three-room apartments are equipped with everything necessary for comfortable living. In the kitchen there is a gas cooker, an extractor hood, a kettle, a microwave oven, a refrigerator, a TV set, and utensils. In the bathroom there is a bath, a washing machine. Accommodation 4-7 people. 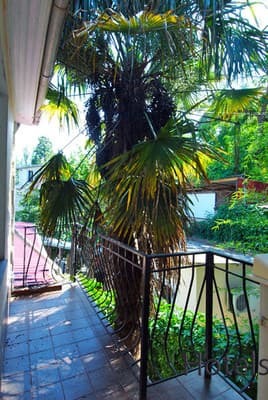 The apartments are located in Livadia (4 km from Yalta) in the private sector, in the park area of ​​the Livadia Palace. You can reach the sea by car or via the park by elevator (8-10 minutes). To the embankment of Yalta go for 5 minutes. Distance to the bus station in Yalta - 9.6 km; to Simferopol - 88.2 km. From the railway station of Simferopol on any transport to Yalta. Near the railway station of the city of Simferopol (exit to McDonald's, in the direction of the tower with a clock) are auto- and trolleybus stations. 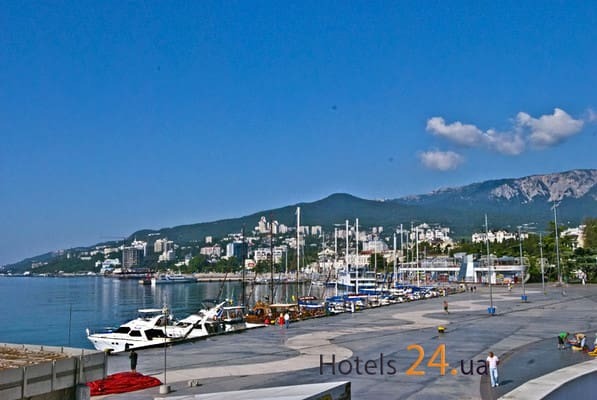 From there, by regular bus, fixed-route taxi or trolleybus number 52 you can get to Yalta in 1,5-2,5 hours. By car: from Simferopol, go along the M-18 highway to the Angarsk pass, then through Alushta - on the upper intercity route (landmark, so as not to get lost in Alushta - the wires of the intercity trolley bus), then go along the upper, intercity route (M-18) along the whole The Juba is still 41 km to Yalta. There is a transfer from the Yalta bus station (the service is free). To the embankment of Yalta, go by bus № 5B, № 11.